Homemade magic shell is another one of those ridiculously easy recipes that can be made for less cost and better flavor than the store-bought brands. You just need two ingredients: chocolate chips and coconut oil or butter. I like to compare what my ingredients are in a recipe to what’s on the shelf at the grocery stores so we will take a look at those below. So what is Magic Shell? 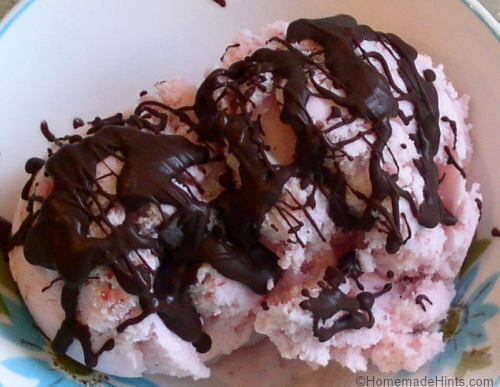 Homemade magic shell over our homemade strawberry ice cream. Yum! Overall, the list isn’t too bad with the exception of soy lecithin (an emulsifier). So What Makes Magic Shell Harden on Your Ice Cream? 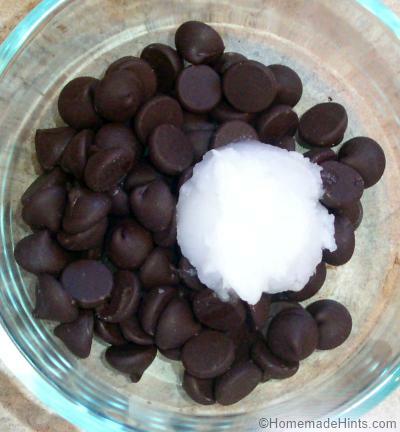 The melting point of coconut oil is 76 degrees F (24 deg C) so when it flows over your frozen ice cream, it hardens. You will notice on the Magic Shell bottle that if you store it in a cool place (say cooler than coconut oil’s melting point of 76 deg F), the topping will become thick and harden in the bottle so you will have to warm it up under warm water. Why do they add sunflower oil? Well in comparison, the melting point of sunflower oil is 2 degrees F (-17 deg C) so I speculate that the combination with coconut oil may lower the melting point so you don’t have to warm the bottle unless it’s really cold in your house or… perhaps adding more oil instead of chocolate is less expensive (but this is just speculation). For our homemade version, all we need is coconut oil or butter. You can make this with either coconut oil or butter. I always use coconut oil for this recipe because I use butter all the time and here is an occasion to swap it out for a a healthier saturated fat, but if you don’t like coconut oil then by all means use butter. I should say that using the coconut oil doesn’t make it taste like coconut – at least I don’t notice it. 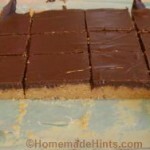 Combine the chocolate chips with the oil or butter in a microwave-save container or small saucepan. Place in microwave on high for 1 minute or heat just until melted on the stove. Stir until smooth and if needed, place back in microwave at 10-sec intervals. 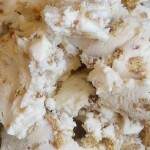 Let cool for a couple of minutes before drizzling on your homemade ice cream. If I have any leftovers, I store my coconut oil-based topping in the pantry because coconut oil is very shelf-stable and can be stored for a long time without going rancid. I wouldn’t store the butter-based topping at room temperature for more than a couple of days in warm weather. 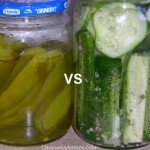 You could always cut the recipe in half or even just make 1 or 2 servings at a time, since it’s so simple, and then not have to worry about storage. If you are storing during the winter months and your topping becomes solid, just reheat slowly in the microwave until it just becomes liquid again. 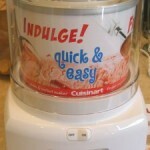 Cuisinart Ice Cream Maker Review - Why We Think It's The Best! So excited to try some of these recipes! I bought two sets of molds so I could make them with the grandkids when they come this summer, so I want to practice and get some good ones before that. Shades of my childhood with tupperware pop molds! What a fun and improved memories I will get to share with them. Thank you so much!